GET 50% OFF THIS MUST-HAVE Ponytail Beanie! LAST PIECES! Limited Time Only Not sold in stores. 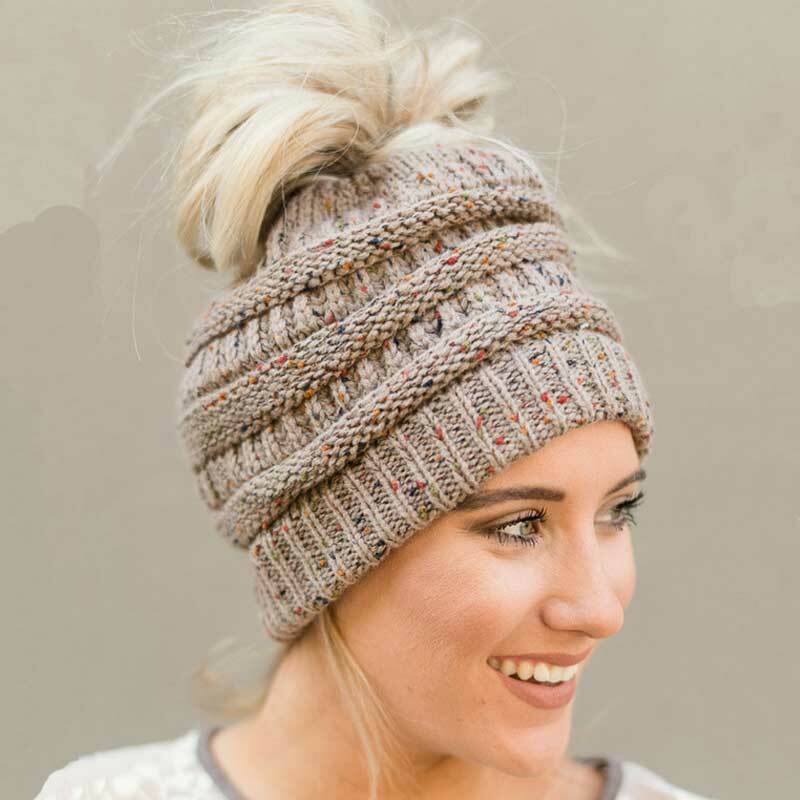 It seems as though, all of a sudden, these adorable beanies are everywhere you look and we are loving the look of these messy-hair don't care knit hats! They are absolutely perfect for the pony-tail lovers of the world! The CuteBeanie™ Soft Knit Ponytail Beanie has a knitted or crocheted feel and it's specifically designed for long-haired folks who, undoubtedly, have struggled with the age old question: How can I wear a hat and have an up-do at the same time, because these hats are created with a hole built right into the crown. This unique feature makes them the perfect hat to compliment that messy-bun! Each soft knit beanie is handmade and excellent quality! They also come in a large variety of colors, making it easy to find a beanie (or two) that fits your particular wardrobe!